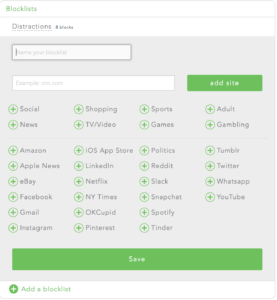 Stop being distracted by your laptop. 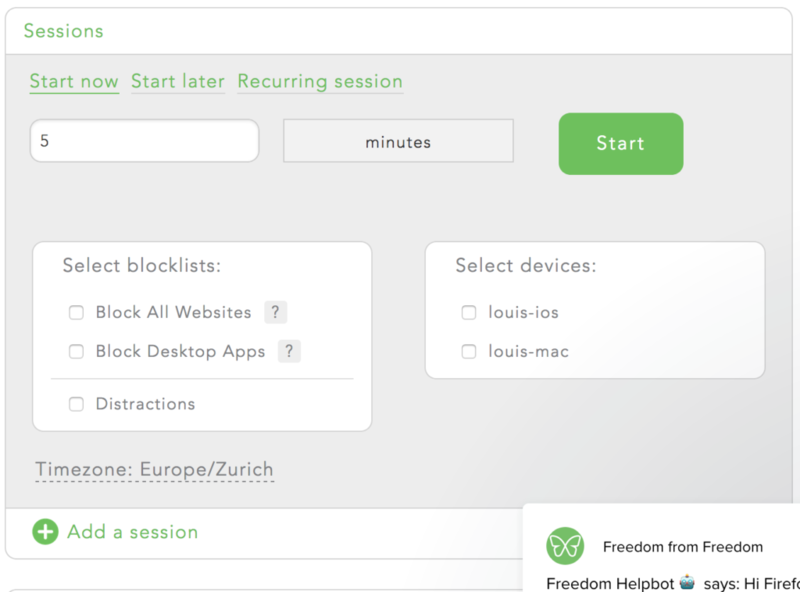 Freedom is the app and website blocker used by over 750,000 people to reclaim focus and produc­tivity. Experience the freedom to do what matters most. $29 annually. 60-Day Money-Back Guarantee. $129.00 forever. 60-Day Money-Back Guarantee. You create a login / password on https://freedom.to . 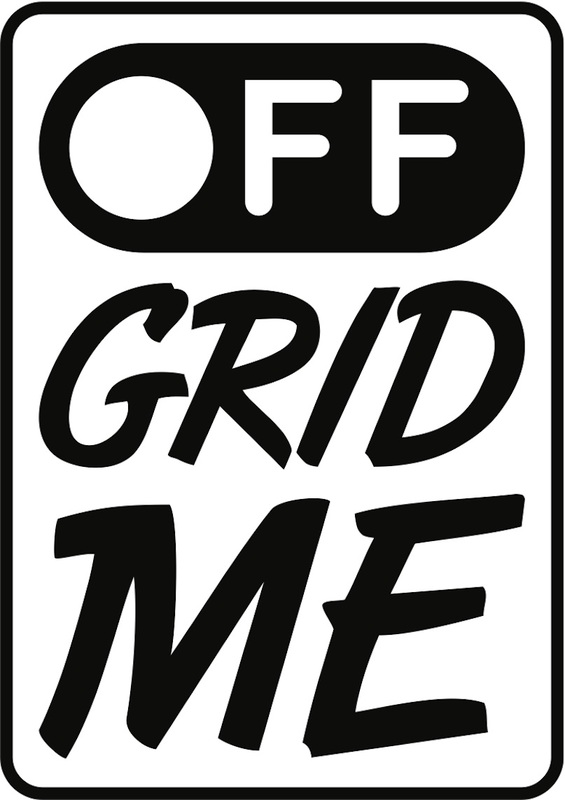 After the installation, the app will in install the plugins on all your web browser and use the blocking functionality of iOS. You have to configure your setting on their website. 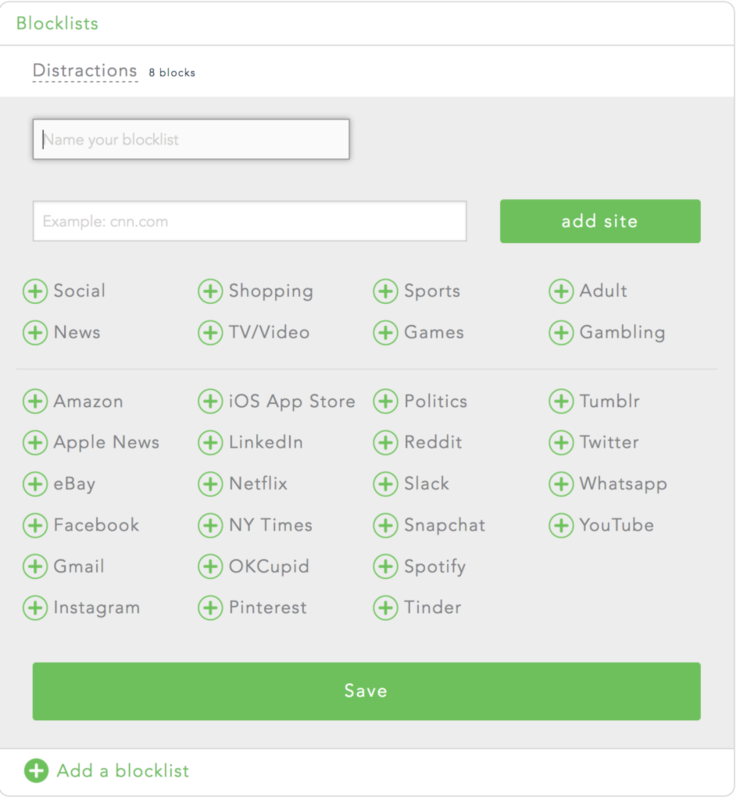 The setting is to create the blocking list or choose one made by the app of websites. 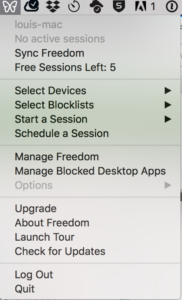 Freedom is able to block websites access on multiple devices from lists define on the app or on the web interface. You can configure this list from the web interface or any app on any device allow to use your setting. It is also able to block the usage of App installed on your devices, the setting has to be made on the device it is not possible to do it on the web interface. There are already prepare list, a set of website clickable and the possibility to add any website. Choosing the length of the break and the list of devices where you want to do your break. 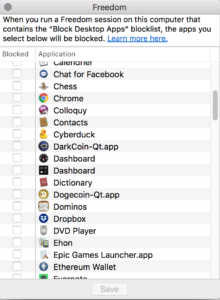 When you start all the selected devices start to block the selected app and websites. 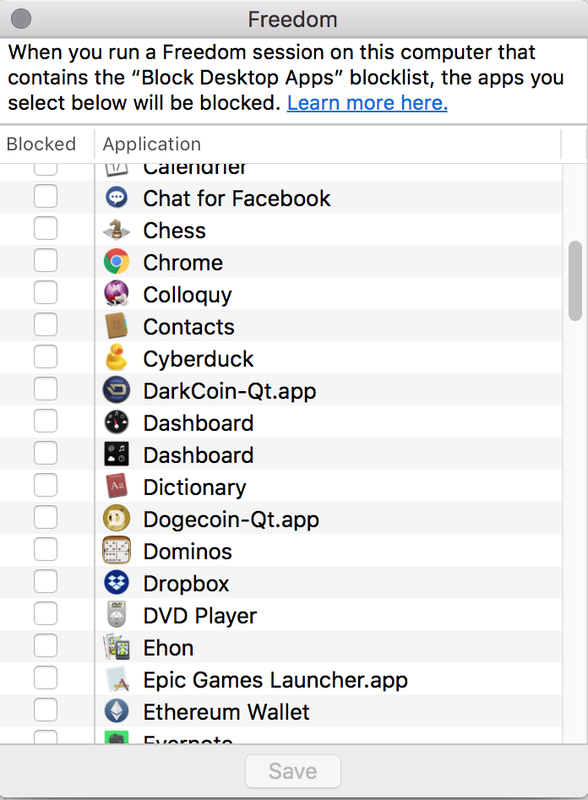 You have to use the App on the Mac to define the list of Applications to block. 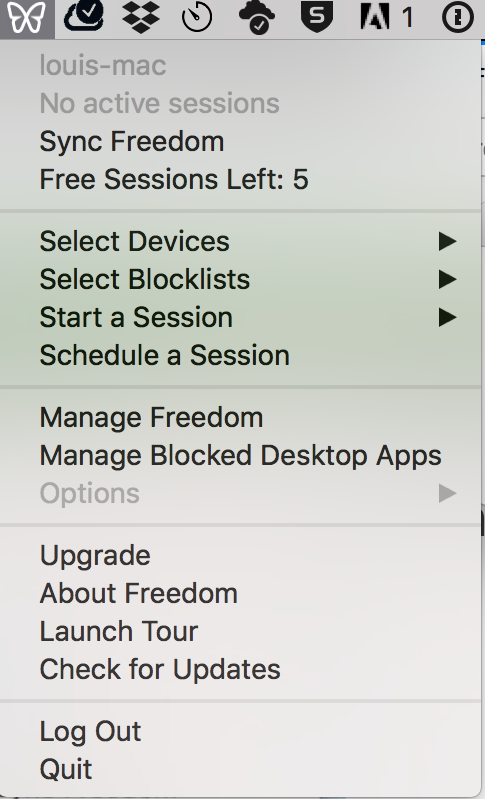 Freedom is a very powerful interface to block usage of apps and websites during a length of time and you can schedule a break during the day. 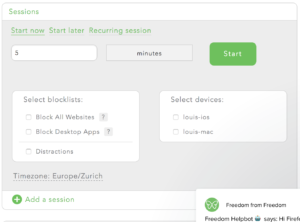 From the web interface you can set up the list of devices, the block list and schedule everything from the web interface. The app interface is complete. You need an account on their system and they have lot of information about the usage of your apps.